Falling Sky – Pure War Gaming Goodness! 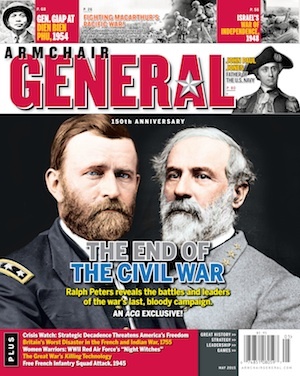 Game Review | Armchair General Magazine - We Put YOU in Command! The sixth and newest entry in the COIN (COunter INsurgencies) game series jumps back in to the turbulent 50s, no not the 1950s but to 54 to 52 B.C. as Caesar’s Roman Legions attempt to pacify Gaul! This is a distinct change in time period for a game system which has mostly focused on late 20th and early 21st Century conflicts such as the Cuban Revolution, Vietnam and the on-going conflict in Afghanistan. I must admit to being a newcomer to the COIN series but my interest in ancient Rome led to my request to review this game. When the box arrived, I was quickly intimidated by both the rules and the number of components. While the game is rated by GMT as “Medium Complexity”, a first glance puts this claim in doubt. But, with the help of the Tutorial Scenario thoughtfully included in the enclosed “Playbook”, I was quickly drawn in to the game and its fascinating recreation of the world of Europe during the Roman occupation. For those new to the COIN system, as I was, the game system deals with insurgencies and asymmetric warfare. Various wooden counters (some beautifully emblazoned) represent raiding parties, Roman Auxiliaries, Roman Legions, allied tribes, fortresses, etc. Counters are used to mark regions for who controls them, if a tribe is subdued, the Winter turn track status, and other important data for the game. Event cards are used to determine turn sequences and for implementing random events (both with positive and negative effects) in to the game sequence. Player’s status cards for each faction are included as are aid cards showing what each faction can do on a turn and what the victory conditions for each faction are. Solo game aids give flow charts for each faction if that faction is played as a “bot” under the solo rules. The map board itself is a work of art. Each region of Gaul is marked for cities, tribes, control value of the area plus tracking charts for victory points, Roman senatorial status, fallen Roman Legions and turn sequences line the edge of the board. The four playable factions in the game include Rome as led by Caesar, the Arverni led by Vercingetorix, Aedui and the Belgics led by Ambiorix . The German tribes also enter play and although they can be influenced by the other factions but are not a human playable faction although they will be in the soon to be released expansion. The three leaders in the game, if stacked within the same region or, sometimes, in adjacent regions, give their armies special abilities up to and including dishing out extra damage during a battle. A set up chart is included on the back of the rule book but the printing of details on the chart is a little murky making a first time set up very difficult when determining what chit or block to put in what place on the board. A glossy set up player’s aid card should have been included. The event card deck is set up per the scenario with a specific number of Winter cards added to the deck. The Winter cards have special uses which I’ll talk about later. After set up is complete, an event card is drawn and made active. The next event card in the stack is then put face up so that they players can see what is coming next turn. As stated previously, the event cards serve multiple purposes. At the top of the event card are symbols for all four playable factions (the German tribes activate during Winter or based upon a special event card). The order of the faction symbols on the cards controls who takes action first and second. If the factions have already taken an action during the previous event card, skip them and take action with the factions that haven’t exhausted their actions. This system creates a wonderful free form to the actions in the game as opposed to a “you go, I go” system of initiative. A faction can also pass and then take advantage of what he or she sees on the upcoming event card. I love this free form system and it can create many interesting strategic options. If the faction takes its action from the card, it can perform actions such as move unit(s), fight, etc – based upon available options on the available commands card for the faction. Some factions can do multiple actions. Possible actions including besieging enemy cities, trading, scouting, devastating land to disrupt the supply lines of other factions, etc. If the faction, doesn’t want to take an action, it can use the events listed on the event cards. Each event offers things positive to the Romans or negative to the Romans depending upon the goals of the active faction. Sometimes, an event which benefits one side or the other can come back to create a negative event later. For example, at one point the Belgic had allied with some German tribes but in a later turn, the Romans drew a card which allied three German war bands with Caesar’s forces. The three German war bands came from the Belgic and the Romans used them to attack and defeat the Belgic war bands in Treveri thereby claiming the province. Combat is fast and easy. It is primarily just a numbers game but a full flow chart is included to make sure that no step is forgotten. In a nutshell, you pay resources to battle. Each faction’s war bands, legions, auxiliaries add a specific number of battle points in to the fight. The side with the higher number of points wins the fights and removes the balance of war bands from the battle. Most factions may withdraw their forces from battle if it looks bad for them. If a faction being attacked has a fortification, this can cut the number of forces removed down significantly. If you have more forces in a province, you get points for controlling it. After all factions have taken their actions, the used event card is moved to the discard pile and the face up event card is now the active card. The next card on the draw pile is then turned face up and evaluated and the entire sequence starts over again. After a given number of event cards are drawn, a Winter card shows up as the active card and it triggers specific actions. During the Winter card phase, victory points are totaled up to see if any of the factions has met its victory conditions to win the game; then the German tribes get to take their actions; then the factions have to follow rules for Quartering their units against the inclement weather; then the factions Harvest their crops and check their supply lines; then the Roman senate meets and their impression of how Caesar is performing his duties can lead them to either withhold their support or, just maybe if Caesar has impressed him, authorize more legions to join his campaign in Gaul. Finally the Spring phase resets markers and gets the players set up for the next sequence of events. One of the most unique features of the games is that the war tribe markers have an embossed symbol on one side and no markings on the other. When the markers or blocks don’t show their embossed side, they usually can’t be attacked as they have disappeared in to the population. When these units move or attack, they are “spotted” and their embossed side is shown. These units can then be attacked in turn. This allows for interesting ambush or surprise attack situations. I did find that the victory rules were a little confusing and the tutorial of victory figuring could have been quite a bit clearer. The rule book and play book are very complete and, while rather dense and intimidating to the uninitiated, as I was, they definitely help the player figure out what is going on. I found the best way to learn the rules was to read some of the rules then watch a training video on YouTube and then play the Tutorial included in the play book. Then go back and read the rules again. This method helps set the system in your head. The playbook is very complete and includes the aforementioned tutorial as well as biographies of the leaders and factions involved plus complete designer’s notes and explanations of all the event cards. The game itself plays very well either as a solo game using the programmed faction solo charts or just by playing each faction according to its goals. It is also a fantastic multiplayer game. Be warned though, my first play took around 6 ½ hours and ended half way through with a tie between Rome and the Arverni. How the next year would have gone was anybody’s guess. I wish the designers had included a shorter scenario that only took 3 hours to play. The game does have a rather large footprint with all the charts and tables and with a rather long playtime, may not be to the casual gamer’s tastes. None the less, Falling Sky is positively brilliant and one of the best games I’ve ever played which covers ancient Rome. Its multiple events and fluid turn sequence makes each game a unique and immersive experience. I can’t recommend this game enough. Hail Caesar! Hail Vercingetorix!